Shark Point, King Cruiser Wreck and Koh Doc Mai are dive sites located in between Phuket and Phi Phi Islands. These three Phuket dive sites are usually combined into a 3 dives day trip, or part of the MV Giamani liveaboard cruises going to the south Andaman Sea, due to their convenient location en-route from/to Phuket Island. These three dive sites offer very diverse underwater environment providing the ideal conditions to enjoy a full day of diving experiencing different things on each dive. Shark Point dive site is a series of pinnacles with lively coral reefs and lots of fish, the King Cruiser is a wreck dive, while Koh Doc Mai is a wall dive with a huge amount of macro life. Shark Point dive site, AKA Hin Musang (“wild cat rock” in Thai language), is a series of pinnacles located in the open sea between Phuket and Phi Phi Islands. 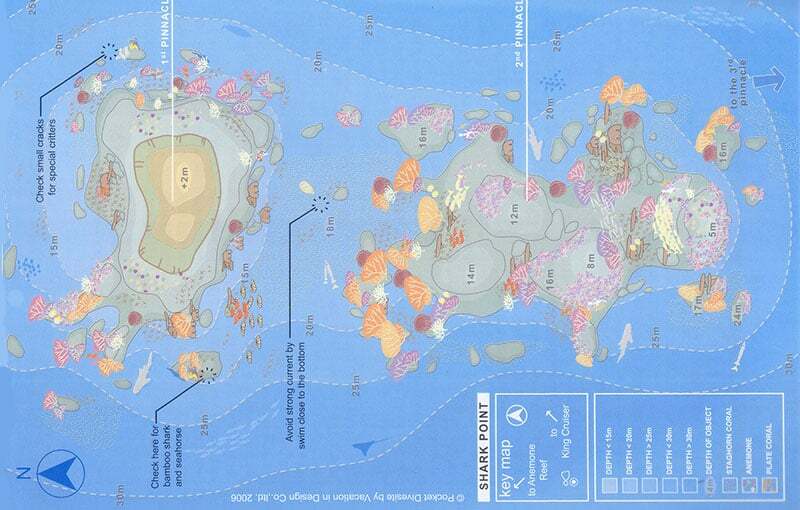 The dive site features a very healthy coral reef (especially on Pinnacle #2) with a large amount of marine life in terms of both pelagic fish and reef creatures. It used to be very common to spot leopard sharks here in the past, while now there are better chances in other sites (Phi Phi). The King Cruiser, situated nearby Shark Point (see above), was a large catamaran hull ferry that used to transport passengers back and forth between Phuket and Phi Phi Don Island. 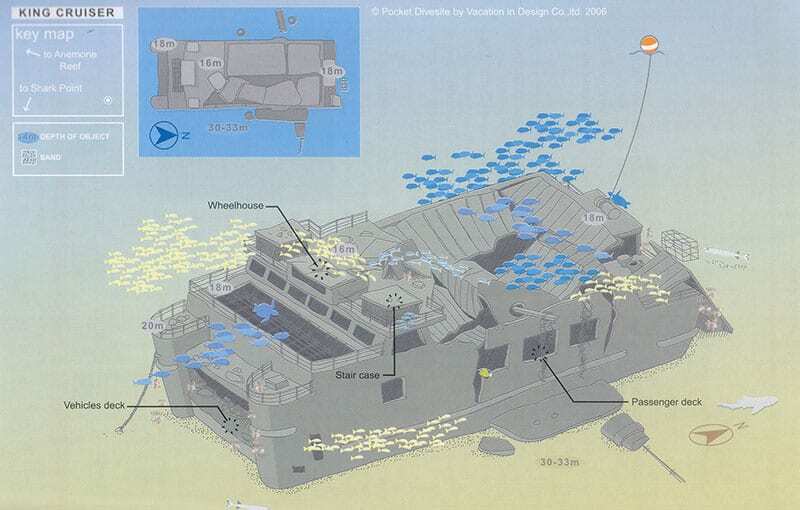 It sunk on 4 May 1997 after hitting Anemone Reef, a submerged pinnacle which is also a dive site in the area. Many believe it was sunk on purpose for insurance fraud…read more. 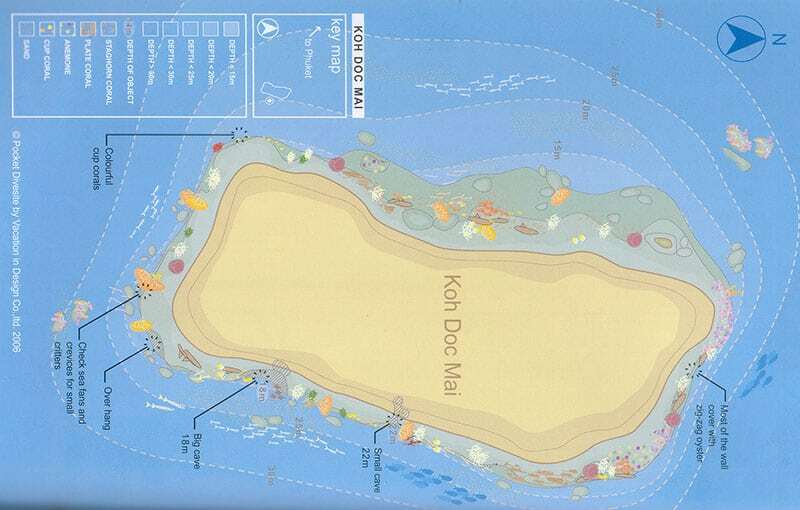 Koh Doc Mai is a small limestone island located approximately 20 Km (13 Mi) east of Phuket. The dive site is quite different from most others in the area as it’s completely a wall dive. The wall is mostly covered in soft and hard coral, with a huge amount of macro life such as nudibranchs, shrimps and other interesting critters to be found in the cracks and crevices.